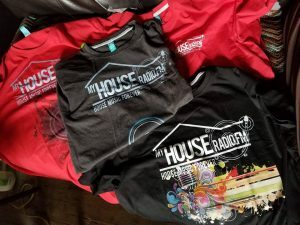 MyHouseRadio Q&A with Legend DJ Spen and Debut of The Classic, Love Sensation coming out 10/5/18 with the great Susu Bobien! This Month we at My House Radio are truly humbled and blessed to have a sit down with Dj Spen, Legendary Producer and Dj from Quantized Recordings. In addition, DJ Spen blessed us with the debut of his new release Love Sensation – with the legendary and ever so talented Susu Bobien releasing on 10/19/19 on Quantized Recordings. Listen now – Hear it here first! US house icon DJ Spen first laid his hand on the decks at the age of thirteen while growing up in his native city of Baltimore – he hasn’t looked back since. Also known as Sean Spencer, the talented DJ and producer began his illustrious career in the mid-’80s as a hip-hop radio DJ making beats under the moniker Numarx, responsible for writing and recording ‘Girl You Know It’s True’, later covered and made into a smash hit by Milli Vanilli. The years that followed saw DJ Spen move away from hip-hop and towards the classic Chicago house sound that would define his productions for years to come, after joining forces with famed production collective The Basement Boys. Working under the name Jasper Street Co., DJ Spen released his first 12″ through Basement Boys Records in 1995, the energetic gospel house cut “A Feeling”. This was the first in a lauded series of releases for the label that brought Spen commercial and dance floor success over the next decade, earning him international recognition as a house music pioneer. In 2004, DJ Spen split from Basement Boys, releasing through Black Vinyl Records and his own label Code Red before founding his second imprint Quantize Recordings, which has since become a regular outlet for his music. Alongside his own productions, DJ Spen has built a reputation as a talented and prolific remix artist, putting his own unique stamp on pop anthems from Diana Ross, Michael Jackson, Everything but the Girl, Toni Braxton and more. If that isn’t enough, he’s still spinning eclectic and soulful jams in clubs across the globe, further establishing his status as an eminent figure in house music, both past, and present. Q: It truly is a pleasure Spen! It seems like you are going stronger than ever these days, like a machine. What is your motivator? What’s the secret behind your longevity? A: I love what I do and have been doing it for a long time. I truly can’t imagine doing anything else. I have always loved music. I believe that what I do is a gift meant to share with others. Q: When did you start writing/producing music – and what or who were your early passions and influences? A: I have been writing and producing at some level since my early teen years (the early 80s). I was in a hip-hop group and I wrote and produced. In the late 80s, I started with Basement Boys. Early influencers were Quincy Jones, Gamble and Huff, Stevie Wonder, Marvin Gaye, and Parliament Funkadelic to name a few. Funk, Gospel, Soul, R&B, and Rock from the 60-early 80s all heavily influenced my musical tastes and later my work. Q: You seem to pull in musical styles from Afro to Soulful – how do you continue to develop so many big hits from all over the spectrum? A: Well as I said earlier my musical tastes are really broad. I was exposed to so many different genres at an early age. Those influences are deeply rooted in me and I still really enjoy all kinds of music. I may be a house music Dj/producer but my love of music allows me to be open to injecting those other influences into what I do. Q: I saw that just this summer, you played a show at in Italy, then a few weeks later you were in Croatia, then back here stateside. There’s a distinct crowd at each place, each with different expectations. Do you find yourself adjusting your sets accordingly? A: Yes, I look up at the audience. I try to connect with them. I work to make them happy. What makes one crowd scream sends another to their seats. I’m there for them so it’s really important to me that the dance floor is happy. Q: What insights does your career as a club DJ give you into remixing tracks yourself? A: Playing in front of a crowd, I get the unique perspective of seeing the crowd react to a song. Are they singing? Are they dancing? Do they scream when the beat drops? Being a DJ keeps me connected to what the dance floors want. Q: You’ve been in the game for a long time. How have things changed for DJs and producers now that there is so much music that’s so rapidly distributed? A: DJs have to be more creative. There’s so much music out. 15-20 years ago, DJs were all playing the same thing. Now there’s so much music to be played. Of course, there’s always the major or bigger label works but independent artists are putting out music every day. Again it goes back to staying connected. Not only to the crowds but to the industry. From a production standpoint, producers have it easier in so many ways. Technology has changed the game a little. And I’m not so sure that’s a good thing. Everyone wants to be a producer and they can be with technology. There used to be certain basic elements of music, instrumentation, and sound that producers really had to understand and master. Q: You’ve worked on so many different projects with so many great people. What is one of your fondest memories?? A: Working with Ann Nesby for the first time. She was sick and was going to cancel. She came in any way and went into the studio and killed “Praising His Name” she was really not feeling well. I wasn’t prepared for the power in her voice. Her first take was amazing and I had to send her back for a second one because I had totally underestimated that power. Ann is a wonderful and humble person. I love working with her. She is a true professional. Q: I saw you were once asked about staying power in the industry, for new up and coming Producers/DJ, in your opinion what does it take to make it today? A: Passion, patience, and practice. If you’re in it for the money, that’s not enough. This industry is so fickle and has so many highs and lows, only a person with a true passion can ride it out. There’s no immediate success or fame for most people. You have to practice – get that experience, be humble and always willing to learn. The people who’ve really practiced their craft stand out. And sometimes it’s just a waiting game. People become impatient waiting for that big gig or project and they move on before it comes. Q: So I see you have a new release of the classic – Love Sensation coming out soon with the great Susu Bobien? What can u tell us about that? When does it drop? A: Susu’s voice is beautiful and she’s a professional. The sound is just stunning and I’m really happy with the outcome. The release will be on October 19th, 2018 – we have some final remixes being done by Ralphie Rosario, John Morales, Soulfuledge, and of course a DJ Spen and Thommy Davis Remix. Lastly, I’d like to say thank you for sitting down with us here at My House Radio. Are there any upcoming projects you’d like to make your fans aware of? Thank you so much for the opportunity. I don’t take it for granted when people ask for an interview. Upcoming projects I’m excited about are Jasper Street Company “My Soul is a Witness” co-produced with Teddy Douglas and coming out on Nervous Records, a Thommy Davis album on Quantize, and a Tasha LaRae album. I’m the Co-Owner of My House Radio, Editor and DJ.